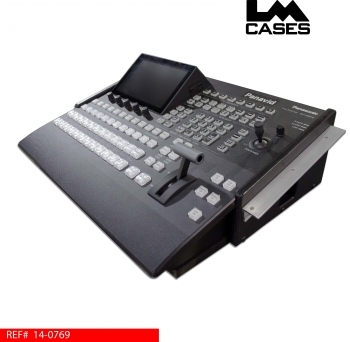 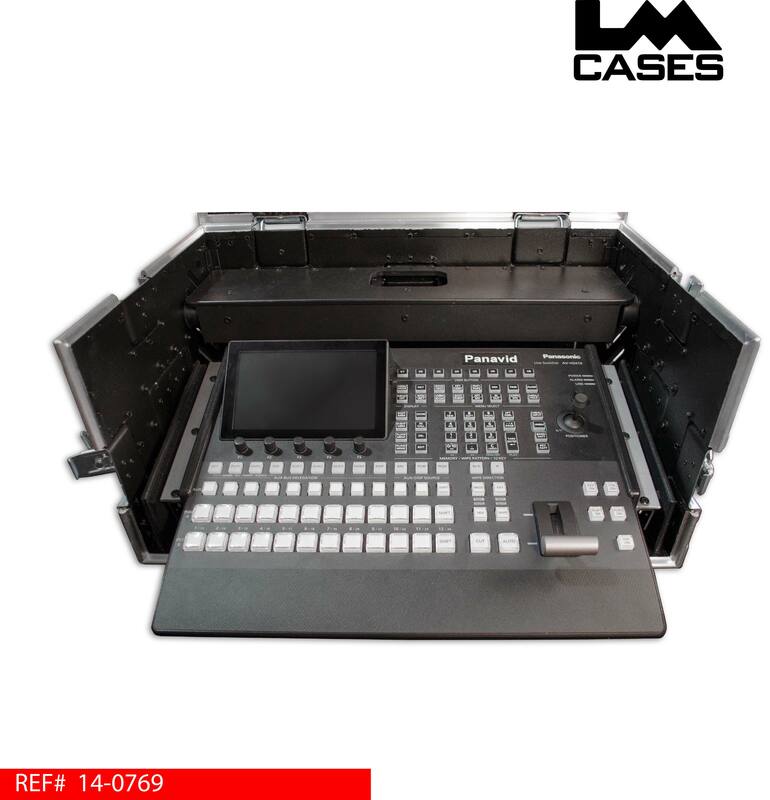 This case was designed for Panavid as a all in one solution to transport their Panasonic AV-HS410 switcher and a monitor. 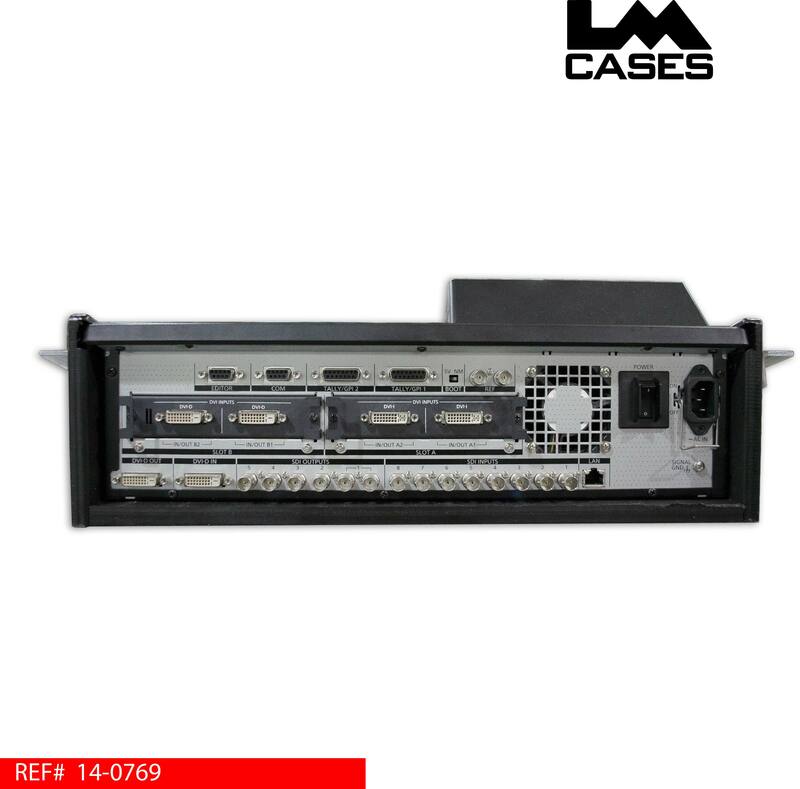 The LM Cases Custom Integration department created a custom bracket that slips around the switcher that allows it to be rack mounted. Also included are 4 shock absorbing bolts in a VESA pattern allowing a Sony PVMA-170 monitor to be mounted above the switcher in the lid. 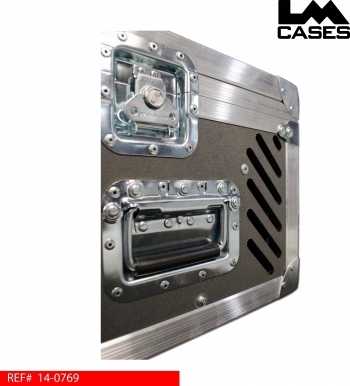 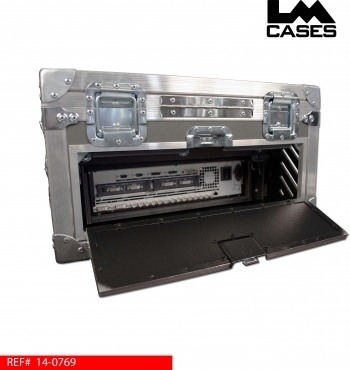 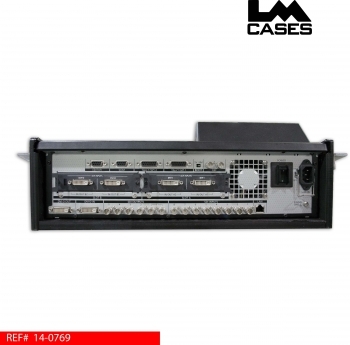 The rack rails that support the switcher are mounted to the case via rubber isolation bolts which provide shock protection without adding additional bulk and foam to the case. 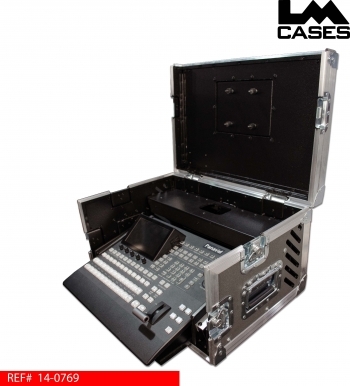 Connections to the switcher are hidden by "doghouse" lid built out of 1/2" marine grade plastic, a trap door with 3RU of rack rail is positioned behind the switcher allowing the user to use a rack mounted IO panel. 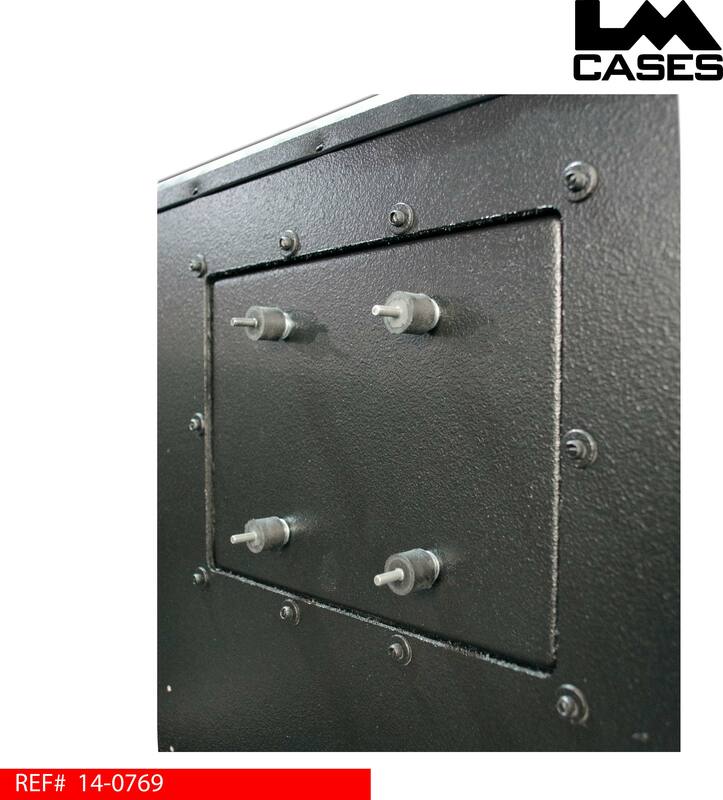 CNC routed vents provide ventilation when the switcher is in use. 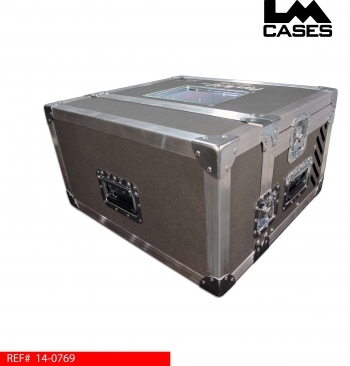 The case is built out of 3/8" plywood laminated with charcoal ABS plastic, the case also featured deep recessed handles and a custom silkscreen of the Panavid logo.